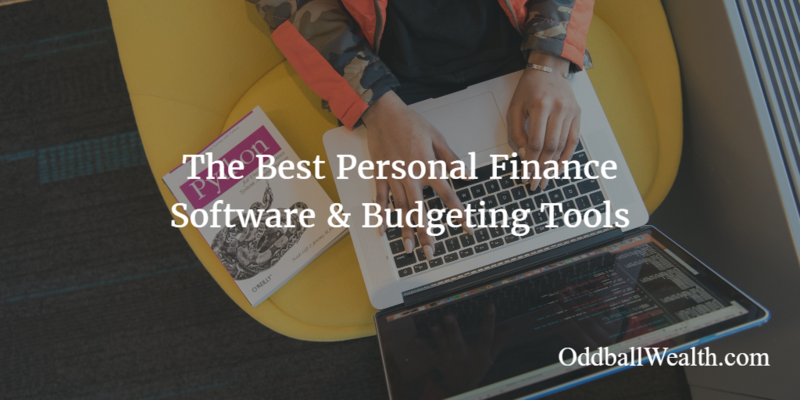 Finding the best personal finance software for tasks like money management and budgeting to update your monthly household budget spreadsheet can sometimes seem overwhelming and impossible. It’s safe to say that time isn’t on our side and finding the time to properly manage your finances and update the monthly family budget spreadsheet just doesn’t seem possible. Each day we’re blessed with twenty-four hours. These 24-hours are truly a gift and how we spend those hours and manage our time and personal finances is important. If you’re like me, it seems with every new day there’s more and more things that need to get done. More tasks and more projects which we feel obligated to complete. Sometimes we become overwhelmed and often run out of time to complete all of the things that we wanted to get done that day. You may even find it hard to sleep at night because your mind is still actively thinking about the stuff that needs to get done or the things you haven’t yet completed. I have personally experienced nights like these and I know they’re not pleasant. The following day you’re generally fatigued from lack of sleep, which can lead to unnecessary stress and health problems down the road. We become so busy and caught up in the meaningless day-to-day activities that we can forget what it feels to laugh and not have any daily obligations to get done. Some people stress out so much about money management and budgeting that they try to avoid their personal finances altogether. Or, they’re so busy doing other things and activities that they feel overwhelmed and neglect managing their finances, budgets and financial wealth completely. If I asked whether or not you currently knew what your personal net worth was, I’m going to guess many of you wouldn’t know. The reason I assume this is because most people have no idea how much money they spend month-to-month or have a budget, let alone know and calculate their net worth. Why is knowing your net worth a big deal? Because, by knowing and tracking your net worth and other personal finances, it gives you a detailed overview of where you stand financially. Reviewing your net worth and budget at least once per month is basic money management 101. When you track your net worth regularly, you’re more likely to set and reach financial goals. It’ll also make you much more conscious of your spending vs’s income, your budget and personal finances in general. Tracking net worth and establishing a monthly budget will help give you a clear picture of whether or not you’re financially on track for retirement. It also makes managing money and daily finances much easier. In the past, I would keep an excel home budget spreadsheet which I used as a monthly budget planner and as a way to update my net worth every month. But then a month went by where I didn’t update my monthly budget spreadsheet. Then another month went by, and another. Before I knew it, almost an entire year went by where I didn’t update my monthly net worth spreadsheet. It wasn’t that I forgot about updating my budget and net worth spreadsheet each month. In fact, it was actually on my mind constantly. Month after month, it really bothered me that I didn’t know what my net worth was or that I didn’t have an established monthly budget. I began making excuses for not properly managing my money and personal finances. Each month I told myself I would update and calculate my net worth, which was always a big fat lie. Before I knew it, that month would be over and like the previous month, I would run out of time. Like many people, it just didn’t seem like I had the time or ambition anymore to manually update and calculate my net worth and excel budget spreadsheet. I became overwhelmed with all the day-to-day tasks. I was working many hours and trying to run multiple businesses on the side. I was becoming inefficient in regards to completing tasks I set out for myself. This lead to improper money management, which lead to me avoiding to create a monthly budget, calculating net worth and other chains of financial management. It was like the dominoes effect. Eventually, I started using a free money management tool and budgeting app called Personal Capital. This is by far the best personal finance software and app I’ve found online. And, do you know what’s really awesome about this money management app? It’s completely free to join and use! Personal Capital is an easy-to use free financial tool and service that alone as made calculating my net worth, managing money and budgeting so much simpler. Their service makes money management a breeze, and my life in general much easier and a lot less stressful. It works automatically to keep your personal finances organized and calculate your net worth regularly. It’s a free personal finance money management app and website which tracks and manages all of your finances for you. It’s very convenient when you’re able to manage all your money in one place. Use it to easily create weekly or monthly budgets and automatically update and calculate net worth daily. Personal Capital also has an easy-to-use retirement planner tool which you can use. The retirement planner along with their retirement calculators will make the process of planning and reaching your retirement goals exceptionally easier. I no longer need to worry about opening up my net worth spreadsheet to manually updated it every month. Personal Capital automatically displays and calculates net worth for me. I’m able to sync all of my financial accounts to it, including my banking and investment accounts, student loans, credit card accounts, and retirement accounts – like my Roth IRA and 401(k). How I Get My Credit Report, Credit Score, Credit Rating, Identity Protection and Credit Monitoring All Free! Personal Capital will also organize and categories all your finances automatically for you. You’ll be able to view your spending, savings, expenses and so much more. I’ve used a lot of different budgeting and money management apps and Personal Capital is the best personal finance software in my opinion. Additionally, when you join Personal Capital and begin using its platform to manage your money and track your net worth, you’ll also have access to countless personal finance education tools and financial news resources. If you have investments such as stocks, bonds, or mutual funds – they have a free investment tool called “Investment Checkup“ which you can use. Or, if you go through a stock broker, they have screening tools which analyze your investments to make sure you’re not over paying in fees. I’m able to see a complete detailed overview of my finances in minutes just by logging into my dashboard. Another thing which I really like about Personal Capital, is how they’ll email users weekly and monthly progress reports of their personal finances. Personal Capital has made money management and budgeting extremely easy for me. It’ll constantly update and calculate net worth for you automatically. It’s net worth calculator will also track and organize all of your spending and expenses into categories for you view. Yep, and all of these tools and services offered to you are completely free to use! I also use my Personal Capital account as a budget planner and monthly budgeting tool. With just the click of a button, I’m able to see how much money I spent that month (or week), where I’m spending money, and what I’m spending too much money on. As I’ve stated above, Personal Capital is 100% free for anybody to use and take advantage of. It’s very quick and easy to sign up, and only takes a few minutes to set up your account and preferences. If you don’t already have a Personal Capital account, take the work out of managing your money and finances by taking a couple minutes now to sign up! Take Me to Personal Capital’s Secure Website Now!